Take your style to a new level with our gorgeous metallic products. With an iridescent pop of shine, these pieces are anything but ordinary. Our gorgeous metallic bags are adorned with super cute (and super trendy!) embroidered patches or colorful rainbow zippers, making them an absolute must-have for school, travel or just hanging out at the mall. 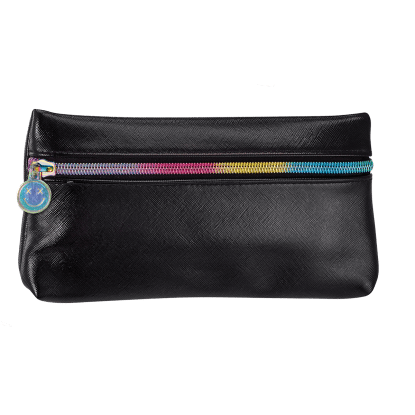 This line features pencil case, cosmetic bags, belt bags, weekenders and more and they make great gifts for your favorite fashionistas.